This is the regular monthly auction geeklist for European sellers. 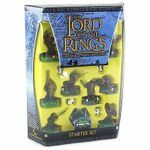 The premise of the list is that not many Europeans run auction geeklists, so this will provide a home for anyone shipping from Europe who wants to auction anything (boardgame, videogame, RPG). 12. Items should not be simultaneously listed both here and on a maths trade list. To avoid conflicts this list will be created on or about the 20th of the month so that auctions may be set up and completed before the European/UK/German maths trades commence. 13. Euros are suggested as the currency for the auction with a minimum of 1 euro increments in bids. Sellers may specify other currencies & minimums. All bids for a single item must be in the same currency. 14. Unusual currencies (e.g. Swedish Krona) for auctions/shipping costs should have their rough exchange rates to the Euro listed with the item. 15. At the end of auctions it is the Seller's responsibility to close the item (ideally with LARGE TEXT) with the winner in the item and then geekmail the winner to ensure they know they have won. 16. If you have a large number of items to sell it might make more sense to create a separate geeklist of your own, then put an item here that links to it. This makes it easier for you to control and monitor, and easier for buyers to buy several items at once. GBP/UK Pounds are approximately 1.2 Euros - but if the exact amount is important, I urge you to look it up! General discussion of this list, or these lists in general (like how they could be improved) should be posted on the Discussion thread and NOT in the comments section (so that subscribing is useful). Discussion/questions specific to an item may be either in the item or the discussion thread, whichever is more appropriate. You can subscribe to a metalist of all auctions (including these) at this geeklist. There were 138 items of which 38 sold, plus links to another two auctions. Classic game, almost impossible to find and yet here it is again. Euphrates and Tigris, Hans im Gluck 1st edition as pictured. 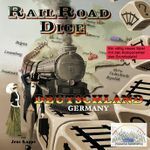 Language is German but other than the rules there is no in-game text and a translation can be included or downloaded from BGG. Game is in excellent condition, and it really is beautiful to look at. UK - £9, Europe - £15, Rest of the World - I wouldn't bother it would be really expensive! Wildlife, Clementoni 1st edition, German language. There's a small amount of text on cards but this is easily cross-referenced to a crib sheet as there are only a handful of different ones. Ogallala by Amigo Spiele. German edition but the game's components are language-independent. Auction ends October the 15th. All rules as stated in the header apply. Bohnanza by Amigo Spiele. German edition similar to the one pictured. The game's components are language-independent (save of the bean's names which are funny in German anyways). AtO boxed magazine edition.English language. AtO magazine edition (non-boxed).English language. The one and only Eurogames edition. Good condition - used but not battered to death. Stuff is bagged up and the insert is present. We have played this several times, but I just got fed up with the randomness of the dice rolls largely determining the result. One of the daughters seemed to quite like it, but I am trying to persuade her to move on to better race games. Weighs a little over 1kg. So depending how much other packaging is used, £6 or £7 in the UK, and about £10 to Europe. Start at £12 and see where it goes. Ending October 15th. The Stimmt so! 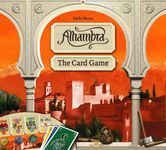 card game rethemed to the Alhambra (tile layer) World. Queen games 2010 English edition (though there are multilingual rules). No necessary in-game text. Opened, but cards still in shrink. Weighs about 650gm. So likely to be around £4 postage in the UK and probably under £9 to Europe. Start at £8 and see where it goes. Ending October 15th. 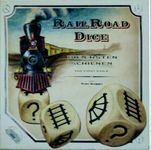 The first version (2nd printing - as shown) of Railroad dice. Gently used (probably 2 or 3 times only), and in very good condition. Bits bagged, even the sprues are in place (though I will dispose of them to save postage costs if you insist). About 800gm, so depending how much other packaging is used, likely to be over £5 in the UK, more like £10 to Europe. About 450gm, so expect postage to be around £3 - £3.50 in the UK and round £7-8 to Europe. Start the bidding at £10. Ending October 15th. Goldsieber SdJ edition.German language but the game's components are language-independent. 25 Figures from the game + rules and Mapset 1 + 4 Red Lidless-Eye dice (included the starter set shown although I no longer have the packaging). Very good condition. Very-good condition, unplayed - no original packaging. 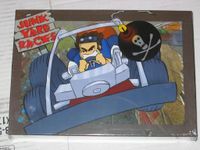 Very good condition - complete and played only once. Language - English. Very good condition. Language - English.